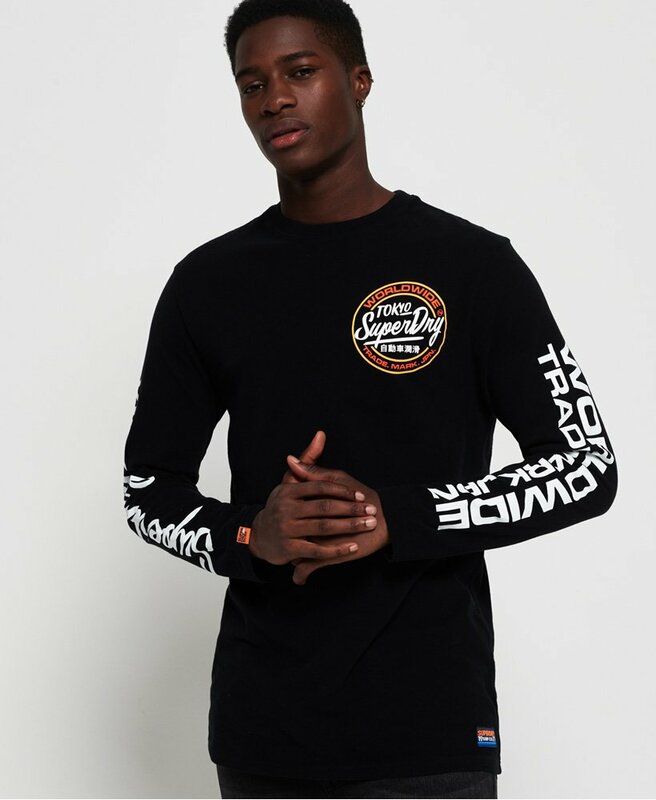 Superdry men's Ticket Type oversized long sleeve t-shirt. Refresh your t-shirt collection this season with the Ticket Type oversized long sleeve t-shirt, featuring a crew neck, stripe detailing down the sleeves and textured Superdry logo graphics on the chest and back. This t-shirt is completed with a Superdry logo badge above the hem. The oversized fit and soft touch fabric make this a great everyday piece, simply wear with jeans and trainers, and add a zip hoodie for those cooler days.